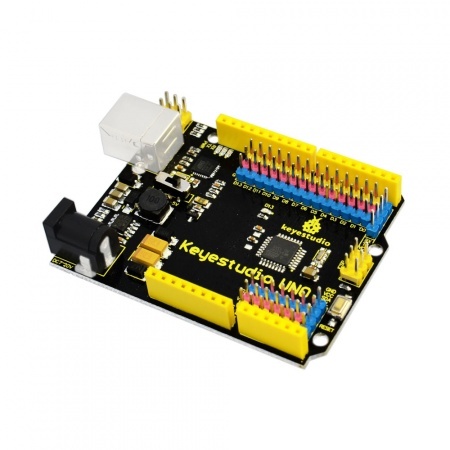 keyestudio UNO with pin headers has the same basic functions as keyestudio UNO R3 BOARD. It is a microcontroller board based on the ATMEGA328P-AU, which has the same function as ATMEGA328P(-PU), fully compatible with ARDUINO UNO REV3. It has 14 digital input/output pins (of which 6 can be used as PWM outputs), 6 analog inputs, a 16 MHz crystal oscillator, a USB connection, a power jack, 2 ICSP headers, and a reset button. 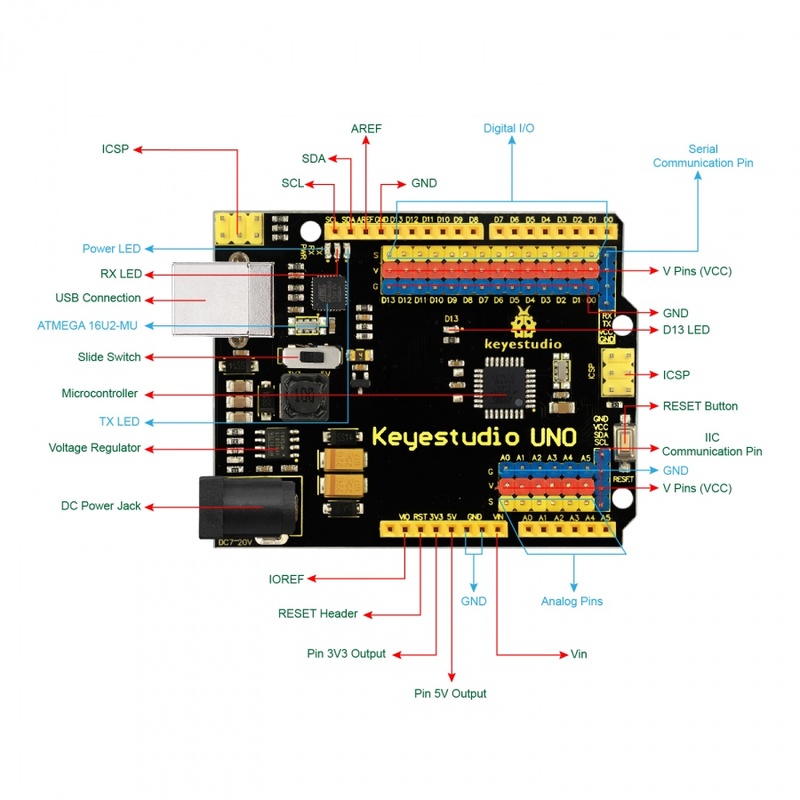 This UNO with pin headers makes the improvement based on keyestudio UNO R3 board. It breaks out all the digital and analog pins in the form of 3PIN headers (G, V, S). S pins correspond to all 14 digital pins, 6 analog pins. G pins for ground. V pins for VCC. You can control the voltage of VCC via a slide switch for 5V or 3.3V. When switched to 5V, level on serial communication port is 5V, voltage of pins is 5V. When switched to 3.3V, level on serial communication port is 3.3V, voltage of pins is 3.3V. It also breaks out two 4PIN headers for serial communication and IIC communication. So it is more easier to connect external sensors and modules. 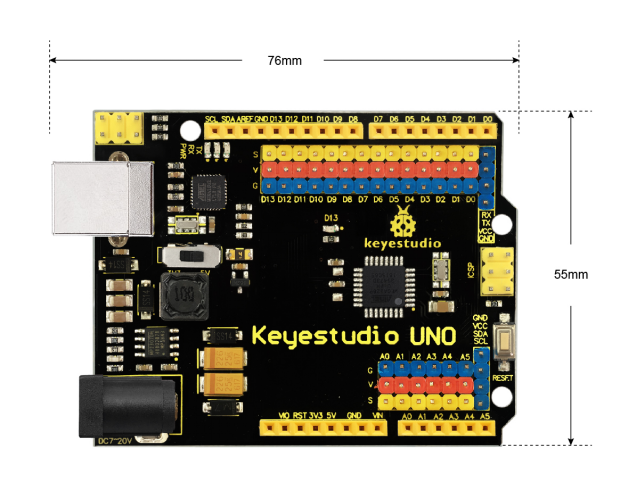 As for keyestudio UNO R3 board, its voltage-regulator chip is NSP1117. When connect external power, output 5V, drive current is 1A. 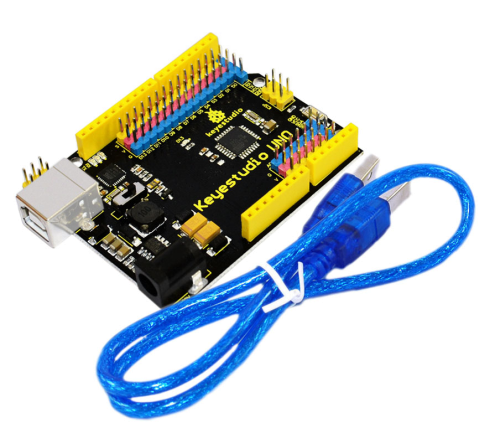 But for this keyestudio UNO with headers, its voltage-regulator chip is MP2307DN. When connect external power, output 5V, drive current is 2A. 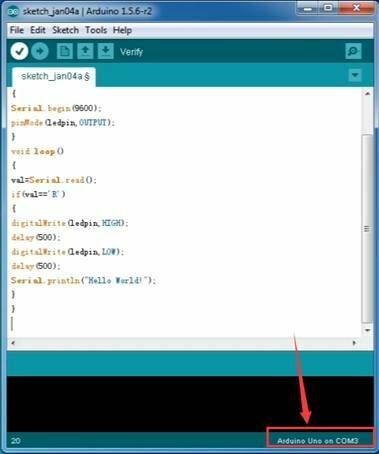 ICSP is the AVR, an Arduino micro-program header consisting of MOSI, MISO, SCK, RESET, VCC, and GND. It is often called the SPI (serial peripheral interface) and can be considered an "extension" of the output. In fact, slave the output devices under the SPI bus host. 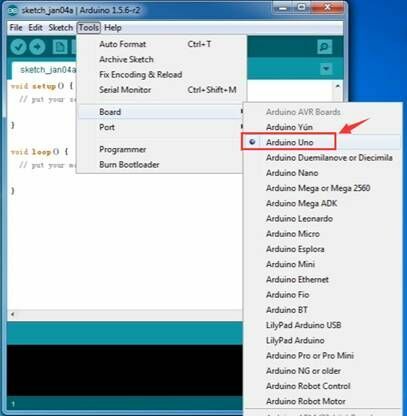 When connecting to PC, program the firmware to ATMEGA328P-AU. Power the external sensors and modules. Select the voltage of 3.3V or 5V via a slide switch. It has 14 digital input/output pins, labeled D0 to D13 (of which 6 can be used as PWM outputs). These pins can be configured as digital input pin to read the logic value (0 or 1). Or used as digital output pin to drive different modules like LED, relay, etc. The pin D3, D5, D6, D9, D10, and D11 can be used to generate PWM. For digital port, you can connect through female headers, or through pin headers (labeled S) of 2.54mm pitch. For Analog reference. Sometimes used to set an external reference voltage (0-5V) as the upper limit of analog input pins. ICSP is an AVR, an Arduino micro-program header consisting of MOSI, MISO, SCK, RESET, VCC, and GND. Connected to ATMEGA 16U2-MU. When connecting to PC, program the firmware to ATMEGA 16U2-MU. Each control board has its own microcontroller. You can regard it as the brain of your board. 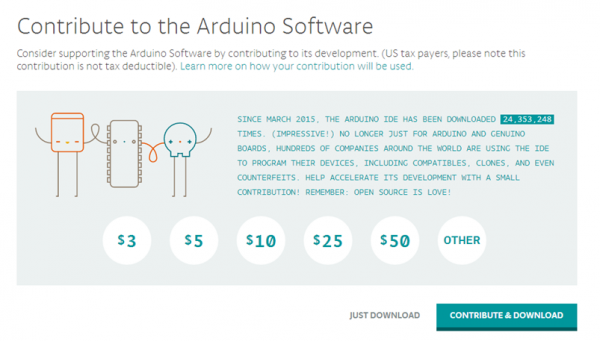 Microcontrollers are usually from ATMEL. 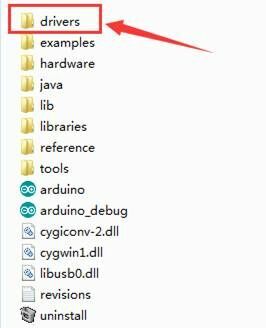 Before you load a new program on the Arduino IDE, you must know what IC is on your board. This information can be checked at the top of IC. The microcontroller used in this board is ATMEGA328P-AU. There is a built-in LED driven by digital pin 13. When the pin is HIGH value, the LED is on, when the pin is LOW, it's off. 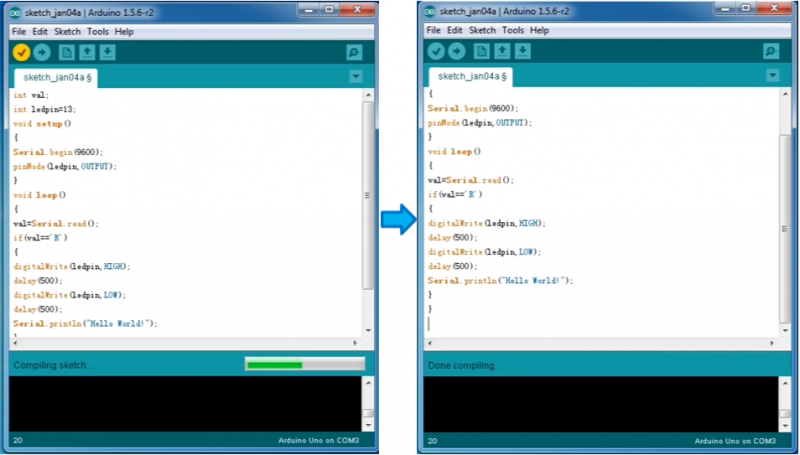 When Arduino board communicates via serial port, send the message, TX led flashes. When UNO board communicates via serial port, receive the message, RX led flashes. LED on means that your circuit board is correctly powered on. Otherwise LED is off. 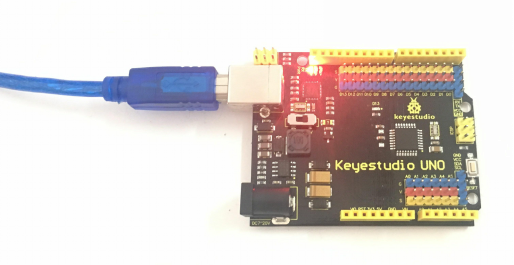 You can power the board via USB connection. 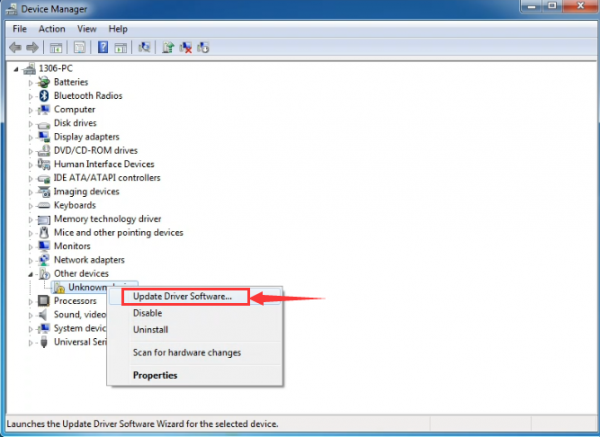 Or can upload the program to the board via USB port. Connect the board to PC using a USB cable via USB port. USB to serial chip, can convert the USB signal into serial port signal. You can slide the switch to control the voltage of pin V (VCC), 3.3V or 5V. To control the voltage provided to the UNO board, as well as to stabilize the DC voltage used by the processor and other components. The board can be supplied with an external power DC7-12V from the DC power jack. Used to configure the operating voltage of microcontrollers. Use it less. You can supply an external voltage input DC7-12V through this pin to the board. The UNO board has 6 analog inputs, labeled A0 through A5. Can also used as digital pins, A0=D14, A1=D15, A2=D16, A3=D17, A4=D18, A5=D19. For analog port, you can connect through female headers, or through pin headers (labeled S) of 2.54mm pitch. Connect to the IIC communication. 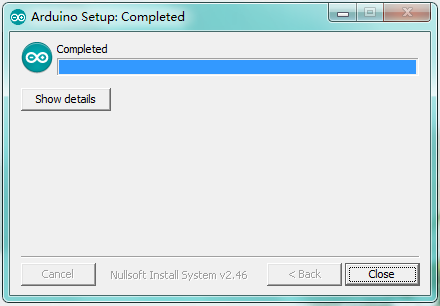 You can reset your board to start the program from the initial status. Serial communication: Digital pins 0 (RX) and 1 (TX). External Interrupts: D2 (interrupt 0) and D3 (interrupt 1). These pins can be configured to trigger an interrupt on a low value, a rising or falling edge, or a change in value. SPI communication: D10 (SS), D11 (MOSI), D12 (MISO), D13 (SCK). These pins support SPI communication using the SPI library. 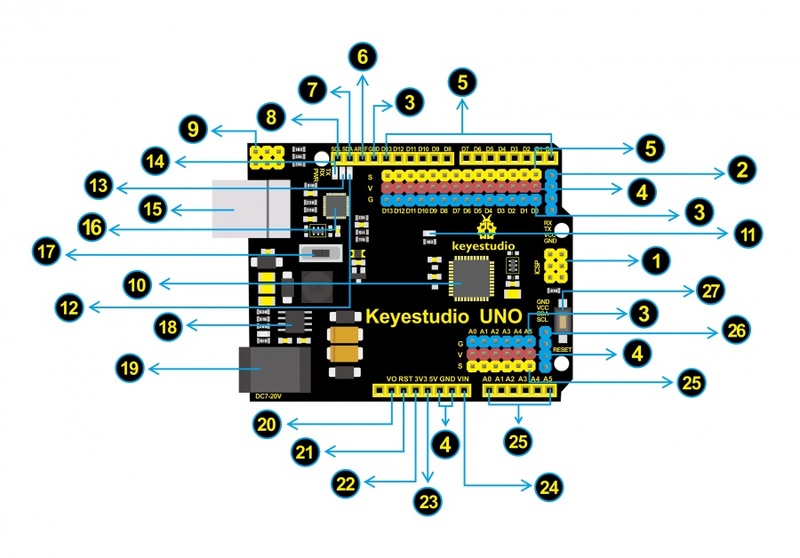 When you get the UNO board, first you should install the Arduino software and driver. 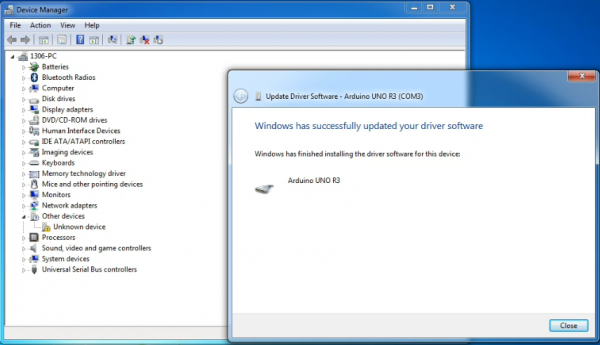 Next, we will introduce the driver installation of UNO board. 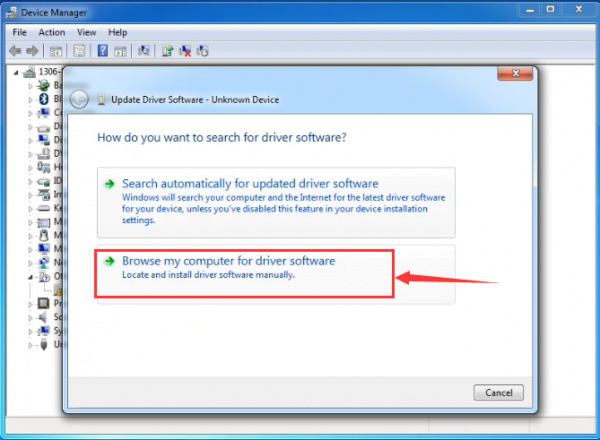 The driver installation may have slight differences in different computer systems. 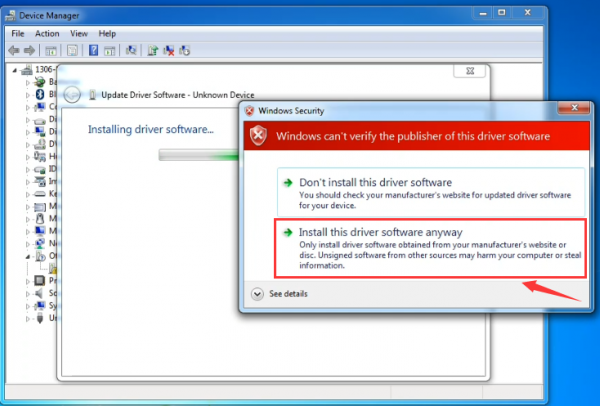 So in the following let’s move on to the driver installation in the WIN 7 system. 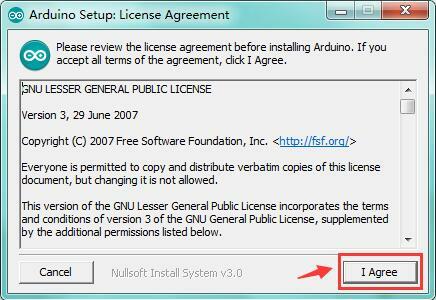 Double-click the icon of Arduino software downloaded well, you will get the interface shown below. 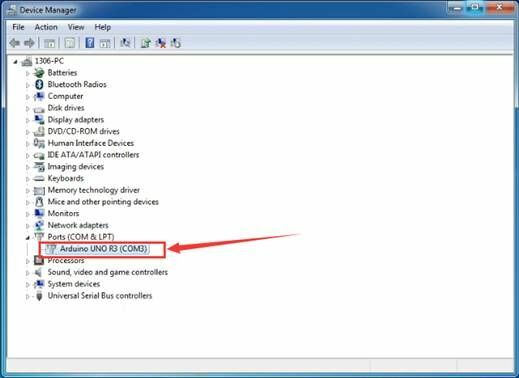 Connect the UNO board to your computer using the USB cable. The red power LED should go on. 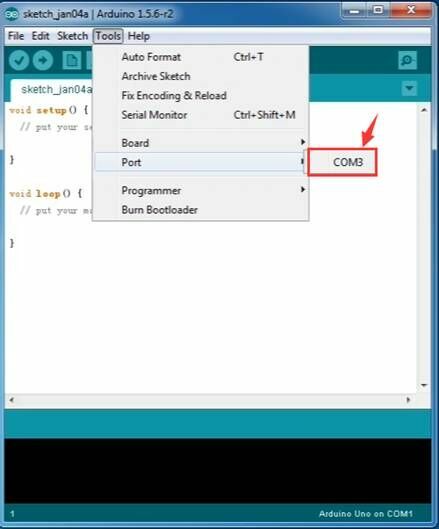 Open the Arduino IDE, you’ll need to click the “Tools”, then select the Board that corresponds to your Arduino. 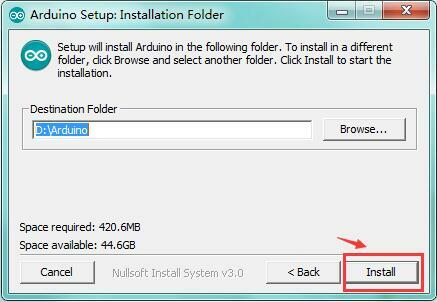 Select the serial device of the Arduino board from the Tools | Serial Port menu. This is likely to be COM3 or higher (COM1and COM2 are usually reserved for hardware serial ports). 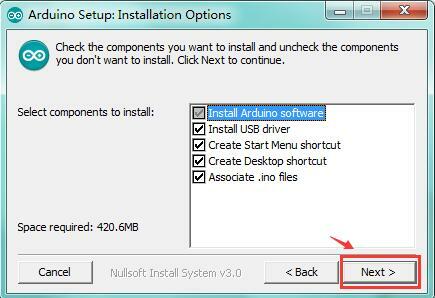 To find out, you can disconnect your Arduino board and re-open the menu; the entry that disappears should be the Arduino board. Reconnect the board and select that serial port. 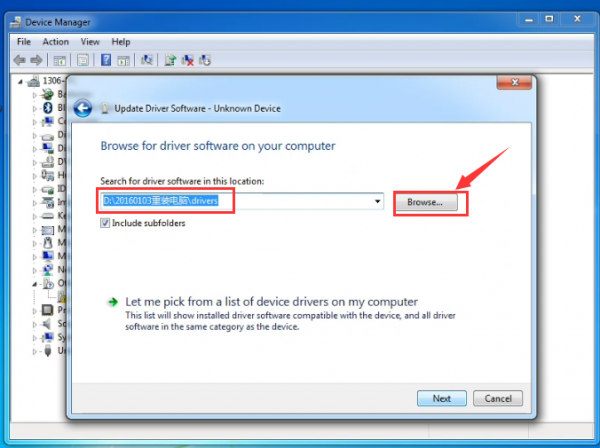 Note: to avoid errors, the COM Port should keep the same as the Ports shown on Device Manager. 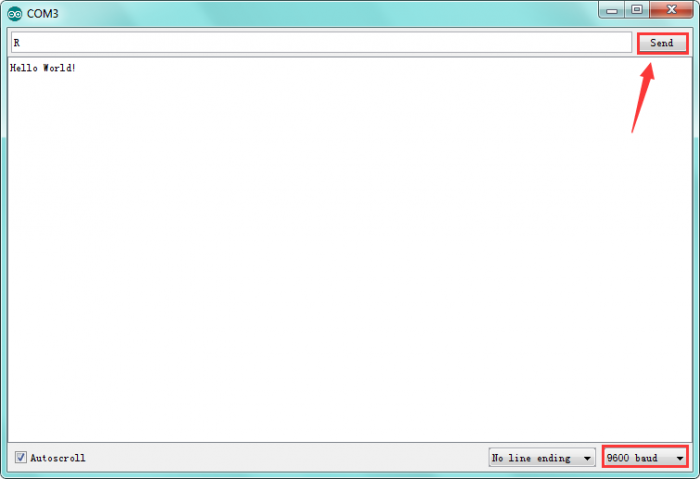 Below is an example program for displaying the Hello World! 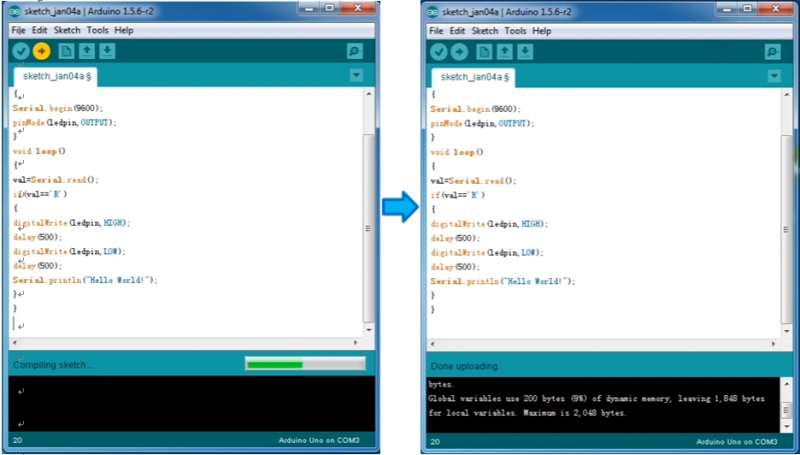 Copy and paste the code to the Arduino environment IDE. 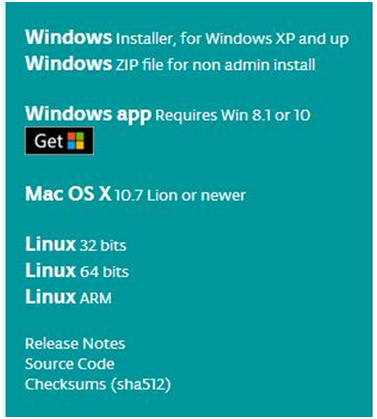 Then click verify button to check the errors. 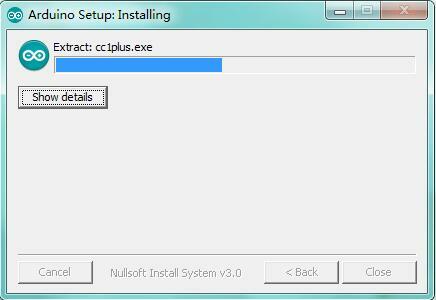 If compiling successfully, the message "Done compiling." will appear in the status bar. After that, click the “Upload” button to upload the code. If the upload is successful, the message "Done uploading." will appear in the status bar. 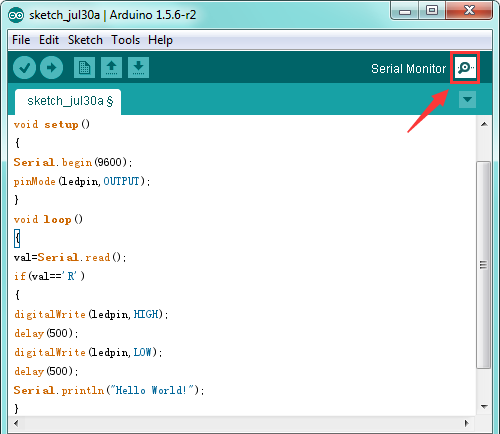 After that, click the serial monitor button to open the serial monitor. Then set the baud rate as 9600, enter an “R” and click Send, you should see the RX led on the board blink once, and then D13 led blink once, finally "Hello World!" is showed on the monitor, the TX led blink once. Congrats! 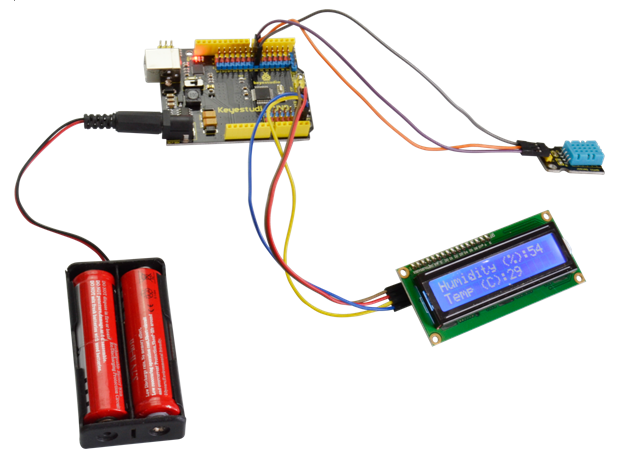 You can connect a temperature and humidity sensor, a LCD display to this board to make the experiment. 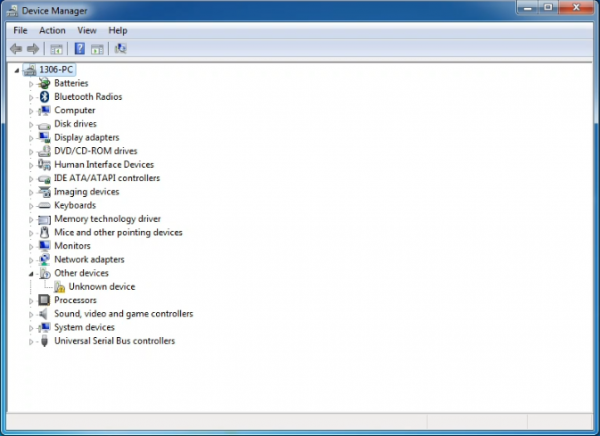 If you have problems, please see the troubleshooting suggestions. This page was last edited on 18 April 2019, at 11:35.